Reincarnation is implausible but even if it isn't, the hands of the Sathya Sai Baba of Puttaparthi (born 1926) and the hands of the Sai Baba of Shirdi (died in 1918) are completely different. There is no question that one is the reincarnation of the other - they are two diverse personalities. But if Sathya Sai Baba’s hands tell us that he is not like the Sai Baba of Shirdi, what do they tell us about him? Sathya Sai Baba’s fingers tell us that he enjoys the pleasures of life, just like you and me. There is nothing bad in this indication and in itself doesn't show that he is a fraud, as most people are like this. It is very rare indeed to find a hand that shows an ascetic bent of mind…and you guessed it! Sai Baba of Shirdi’s hands indicate that he has that kind of mind, and shows him to be a genuine spiritual person. 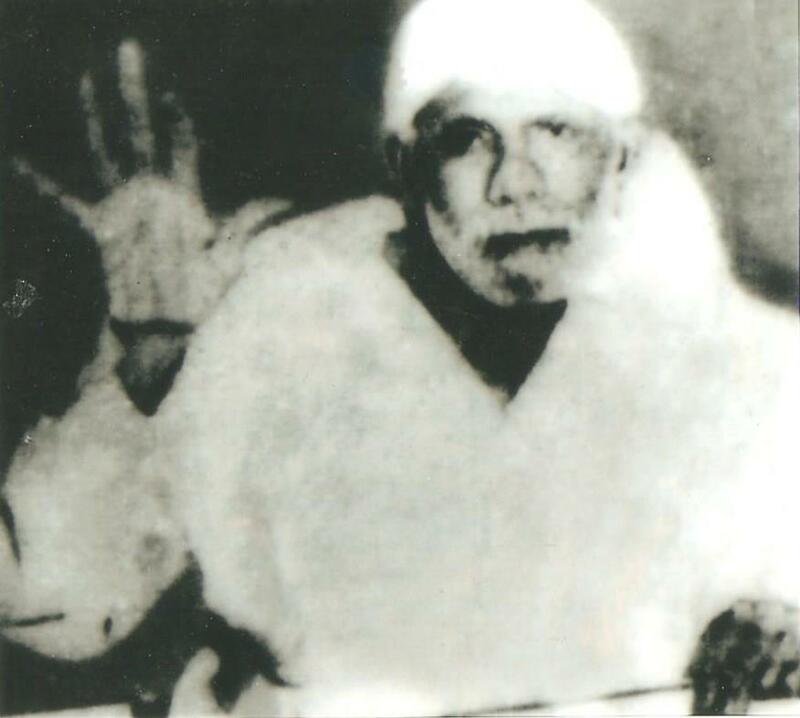 There are very few photographs of the older Sai Baba (of Shirdi), but after studying the ones that are available it is clear that the Shirdi Sai Baba was a man who did not care for worldly pleasures or comforts. Here is a rare photograph of the Shirdi Sai Baba in its original size as found on this site. It is not copyrighted, and therefore I was able to reproduce it here. This hand will be discussed later. First, let us go back to Sathya Sai Baba. You can check out his hand photo here. Sathya Sai Baba has a good thumb, but it is not exceptional. Although it is of a good size, it’s on a normal sized hand, and the phalanges are normal sized, and all of this shows a normal will. And the will is softened by conic tips and a supple thumb, and on the left passive hand, the thumb is a little high-set, and this shows weakness. This characteristic (a soft will) is not necessarily ungodly, but again one cannot help but compare this trait with that of the original Sai Baba of Shirdi. The hands of the Sai Baba of Shirdi are very large (hands, not fingers) as compared to his body. Check this from the photograph on the left (from this site.) This is a sign of someone who is calm, collected, someone who is in complete control of his emotions. In addition, the thumb is very long, low-set, and has a very strong upper phalange and is held apart from the hand. All the fingers are widely held. Yes, the supple thumb is not always a good sign, but on this hand, where all the other signs are good, it shows openness and adaptability. Overall, strong will-power is shown, and also a deep compassion for human beings and a strong desire to help them. In fact, a supple thumb and flexible hands, are necessary on a hand which shows such a strong will, as this is what gives him the softness, the openness, the humanity and understanding of people. When I was studying this great persona, the Shirdi Baba, I could not help but feel that such a hand is rare, because such human beings are rare. In fact, I have never seen such a hand, either in real life or in photographs. But surely Sathya Sai Baba, the new Sai Baba, has something in him which is divine as well? Well, his hands show that he does have compassion for humanity, although this sign is much weaker in his hand than it is in the hands of the Sai Baba of Shirdi. Sathya Sai Baba does genuinely feel for people and can be very generous as well. It is interesting to note that this is a developed trait. It is missing in his left hand, the hand which shows inherited tendencies. The only explanation as far as I can see is that when he chose his calling (that of Godman) he decided to nurture this trait. It is possible to develop any quality in oneself, especially if there is pressure from society, and one is young enough. The shape of Sathya’s Sai Baba’s palm shows breadth of vision and the way he holds his fingers and the shape of his upper phalanges show original thought and individualistic thinking. He has an expressive ability, and something to give to society and to people. Sathya Sai Baba's Jupiter (index) finger is long and this shows a person with a great sense of self, a person who desires responsibility and power and has the ability to honour commitments (not a bad trait in itself), although such fingers are a better fit on politicians. In fact, this quality combined with his thumb qualities show charisma. But his finger is too long and the traits a bit excessive. The means extreme righteousness and arrogance, taken to a dogmatic level. The conic tip increases the idealism. I personally do not believe that strong righteousness is a divine trait. The shape of the Jupiter finger makes him controlling and manipulative as well. I could not find any photograph which showed the Jupiter finger of the Shirdi Sai Baba and so cannot compare the two on this aspect. However, I have no doubt that the Shirdi Sai Baba's Jupiter finger would not show this sense of superiority. In fact I think it could well show humility. If it didn't, then his other qualities would keep this weakness in check. The Saturn mount and finger is very important when it comes to wise and holy men as this is what shows wisdom and ability to think. Yes, Sathya Sai Baba has it, but not in an extreme development. Shouldn't wise and holy men possess an overdose of wisdom? Well, the Shirdi Baba certain has it! He has a beautiful Saturn finger towering above the rest, and the best part of it is the shape. It shows that this holy man has the qualities of wisdom, soberness, strong focus, thinking ability, philosophical bent of mind…and an abundance of it! What seems unpalatable is that the shape of the Saturn finger on Sathya Sai Baba's hand (the new Baba) because it shows some of the negative qualities of this finger, like something akin to pessimism, or rather, some amount of negativity and bitterness, and also vindictiveness. This again shows him up for being only too human. The Sun (ring) finger on Sathya Sai Baba's hand shows a person who is a showman, and one who views life as a gamble. He is someone who will take great risks in life to get what he wants. I have already mentioned the factors which drive him. The tendency to overestimate oneself can leads one down a dangerous path. I think this trait is the key to his personality. Read the hand analysis of other spiritual leaders on this blog as well as comparisons of the ancient saints with the modern ones. Very interesting reading, Nita. I too agree that a tendency towards power and fame are qualities that should be in a politician rather than a spiritual leader. However nowadays one can even say that this ambition is what has made him a successful "spiritual" icon. A pity isn't it, that spiritual leaders nowadays are more interested in things besides spirituality! A lot of them have become businessmen, believing in "expansion." I am planning to read hands of some more spiritual leaders in the future to see whether they are truly spiritual. 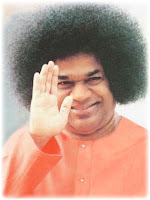 About Sathya Sai Baba, yeah, I guess it was just ambition that made him take to this profession. But then does that qualify him to call himself Bhagvan? That is the question. I think there are a lot of people who have criticized him in the past and I think that he has damaged his reputation beyond repair. That is sad, because he definitely has something in him, and that could have enabled him to become very successful in life. I personally think that reputation is all important, and even if he has become a spiritual icon, I think there are far too many accusations against him today (about his "magic tricks" and allegations of sexual abuse) that cannot be taken lightly. Maybe people don't question enough, if who they are following is worth it or not. Yeah, I agree with you about that Vishesh. People follow blindly, and I think they must be very vulnerable people! And those suggestions you have are very good. I just hope I get some decent samples if their hands! If I do, then they will be read for sure!! Everyone need not be a blind follower. Some people do question, experience and follow. Belief in someone (God/Godman/something else) is purely personal and not open to public debate according to me. The far too many accusations of magic tricks and sexual abuse have existed since decades, not just today. The internet has just increased their exposure. What is to be noted here, is that none of these charges have ever been proven formally in a court of law. Infact, the only case that was registered in California was self-withdrawn (Alaya Rahm) by the petitioner. Allegations fly back and forth, but if there is so much evidence why don't they at least file a court case. Even that has not been done. You need not take my words at face value. You can do your own research to verify the veracity of what I have posted above. Best of all, I suggest you once visit Puttaparthi. Do it incognito, and experience for yourself, why people flock there. Beyond the miracles, and the healings it is the peace prevailing in the ashram and Baba's love that draws people there. Karthik, I agree that belief in something or someone is a purely personal matter. I am sure that these wise men have something to give to people and therefore people go there. I personally do not believe in any spiritual leader in the sense of being a believer. Not even the genuine ones. In fact I am not a follower of any religion. I am agnostic. I believe in the presence of a superior power but do not think that it has human form. I do not think that anyone can lead me to spirituality except myself. As you said, these things are purely personal. I prefer to find my own path but respect anyone who chooses another. Someone may gain from one type of spiritual healer while another gains from some other spiritual healer. Some prefer to find their own path. Human mind and its power are too limited to comprehend certain things.We ought to realize this at some point of time. Sathya sai Baba says "Not even the biggest scientist can understand me by means of his laboratory knowledge. I am always full of bliss. Whatever may happen, nothing can come in the way of my smile. That is why I am able to impart joy to you and make your burden lighter. I never exult when I am extolled, nor shrink when I am reviled. Few have realized my purpose and significance, but I am not worried. When things that are not in me are attributed to me, why should I worry? When things that are in me are mentioned, why should I exult?" He also says "Your worldly intelligence cannot fathom the ways of God. He cannot be recognized by mere cleverness of intelligence. You may benefit from God, but you cannot explain him. Your explanations are merely guesses, attempts to cloak your ignorance in pompous expressions..."
Darla, I see no evidence of a double head line on his hands and I have fairly good photos of his hand. Very interesting analysis. Jai Shirdi baba! Although not a follower I echo your words: Jai Shirdi baba! i agree with darla. I don't think Shridhi Sai Baba wants fame and money. In ancient times sometimes the winning kings got eulogitic accounts about themselves which over the course of centuries became mythological god like characters. The personalities in question are Ram, Krishna, etc. In more modern times the power was replaced by magic as the medium of persuasion. Sai Baba's supporters carefully crafted stories around to give him divinity. That is so very common in India. And now Sathya Sai Baba follows the same beaten path. Neither Shirdi Sai or Sathya Sai Baba is god or anywhere near god. They are the creation of gullible and fearful unscientific people. God is ultimately the inner voice within us which keeps us from losing faith in ourselves. Ma'am, does short life line mean short life? No, it does not. Neither does a long life line mean a long life. Death is shown on several parts of the hand. 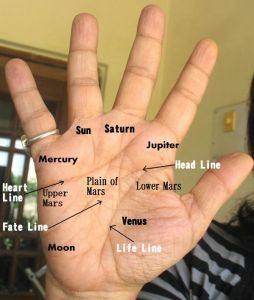 But as lines change, predicting death is not ethical on the part of a palmist in any case. Reading hands of spiritual leaders is something I always look forward to. The hand photo you have attached is not bad at all, but usually I need more than just one photo just to be on the safe side. Even more important, I need to know whether the person is right handed or not because the right hand of a right handed person shows who is today. If you know this, let me know. HEy hi!! really nice to know that u are interested in dis ...ok as i know he is right handed person (and i am sure about dis), second thing if u need more pics so u can Google his Name u will find a lot photos der (bcoz i have no idea that what type pics u want). ok here are some more links of his hand pls check it out . i hope these links will provide u necessary information..
PS:-nita you are doing really great job...keep it up...i love reading your posts...may waheguru and shirdi baba bless you. She is one of the people on my list. I am not satisfied with the hand photos I have, but will keep looking. U Have pointed out here that you dont believe in reincarnation but u talked abt soul while describing some other personalities. In any case why do you not believe in reincarnation ? Well, I do not think the soul lives forever. All of us have a soul, which can mean either consciousness or it can be used metaphorically (by which I mean the inner mind or psyche of the person) as I usually do. Why I do not believe in reincarnation? Because I do not believe in anything without evidence. I will check and see if hand photos are available.